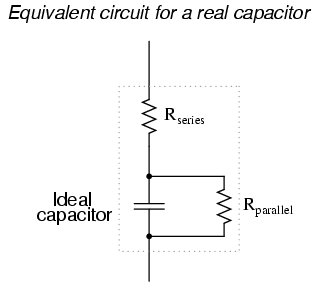 This effect is undesirable for capacitors where we expect the component to behave as a purely reactive circuit element. One of the ways to mitigate the effect of dielectric “loss” is to choose a dielectric material less susceptible to the effect. Not all dielectric materials are equally “lossy.” A relative scale of dielectric loss from least to greatest is given in Table below.